So, I have not done a post on little L's hair for like ever. This is what's been going on. She has box braids that are expected to last for 4 weeks. 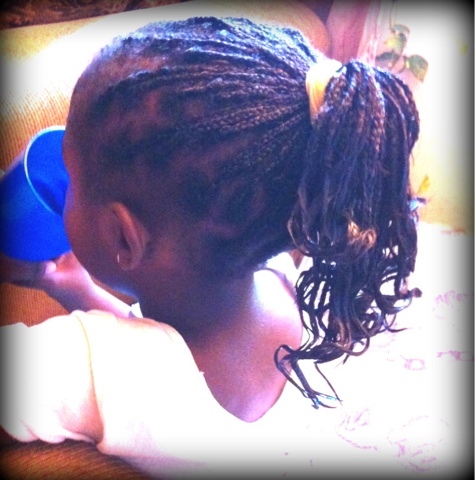 The humidity just was not working with her hair, even the cornrows were getting frizzy fast, plus mommy needed a little break form weekly styling. I decided to braid her hair myself to keep things safe. I also decided to use extensions as I wanted all her ends hidden. She has fine hair too which is very fragile. Retaining length with this type of hair is very challenging. 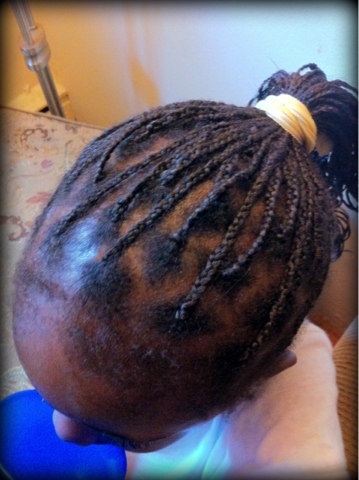 Complete protective style is what this type of hair needs to retain all or most of it. The braids are not a lot and the parts were made big along her perimeter to prevent stress on the hairline. The ends were curled with medium sized rollers and dipped in hot water for a few seconds for those wavy ends. 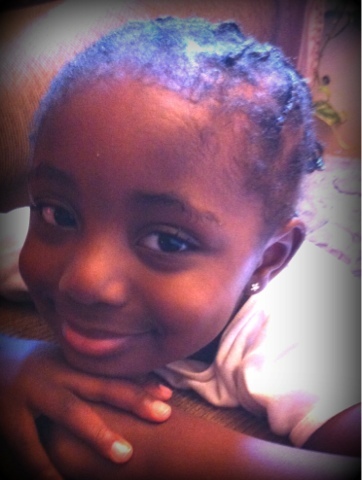 She wears them up all the time as I don't want her to think that long hair or added hair is what defines beauty. Apply JBCO to the edges every other day. Use whipped Shea butter to control fly-aways and frizzes after washing. aww.thanks sis. I told her she has an aunt in the blogger world.